Today we talk about hygge decoration or inspired by the pursuit of happiness in our home, or how to enjoy the simple things, which has become the feeling of the moment in decoration. A new word that is incorporated into the dictionary of decoration terms: hygge (pronounced hu-ga). This is a Danish term that comes to express something like what you feel when you are in front of a fireplace reading a good book with a good cup of hot chocolate or something as simple as enjoying the simple things, the small pleasures that Offers us life. That is hygge, which usually translates as cozy or comfortable but goes much further because it expresses a state of well-being that we all wish to create in our home and for that reason, this word until recently unknown, has become a whole revolution in The world of decoration. 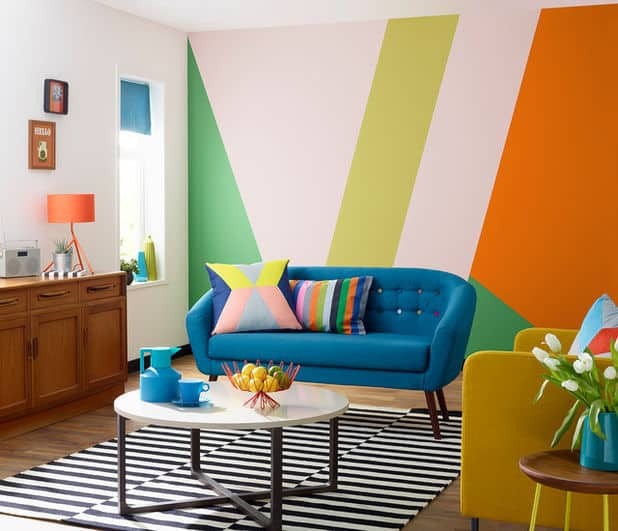 And is that for something the Danes have an enviable standard of living, a style of decoration copied throughout the world and are the happiest society in the world, according to UN surveys. 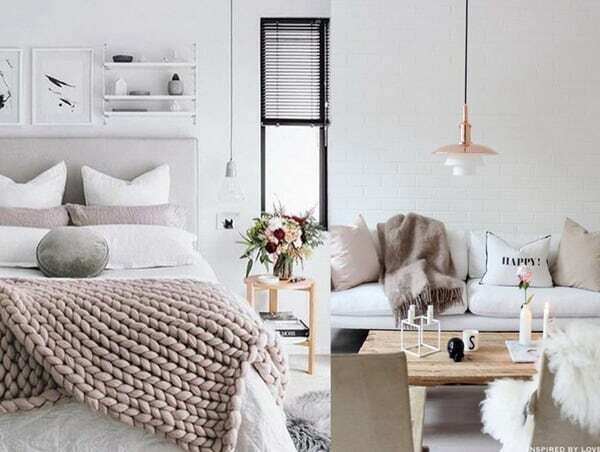 Perhaps because of all this hygge decoration or inspired by that search for happiness in our home, has become the sensation of the moment and is one of the most outstanding trends in home decoration. Moved home, it’s kind of like turning our home into a place where we let out all the worries, relaxed and comfortable. And how can we translate this in terms of decoration? By following some simple tips that will help us give our decoration that hygge touch that will make it the perfect place to rest after a long day or where to enjoy with friends a pleasant hours of talk around a table or a fireplace. Make your life more hygge and your happiness will increase! It seems simple but sometimes we forget, in decoration, that who should use each element of our home are the people who inhabit it. Hence this is one of the first maxims to keep in mind, creating spaces designed to make people feel at ease and relaxed. How to apply this in decoration? Well it is very simple, before designing in our furniture we should seek comfort and provide us with well-being. Before a sofa the first thing that we must ask ourselves is if we feel comfortable in it, if they give us comfort, more than if they are the last design. The same thing in front of our bed or in front of a chair or armchair. Prioritize comfort and your body and mind will thank you. And so do your family and friends. Light colors help us create a more serene, stress-free space. Tones such as white, brown, gray or beige contribute to create a serene atmosphere, also pastel tones. The Danes often bet on monochrome spaces or almost where the colors combine in harmony, without great stridencies. This will help us relax and rest both in the bedroom and in any space in our home. 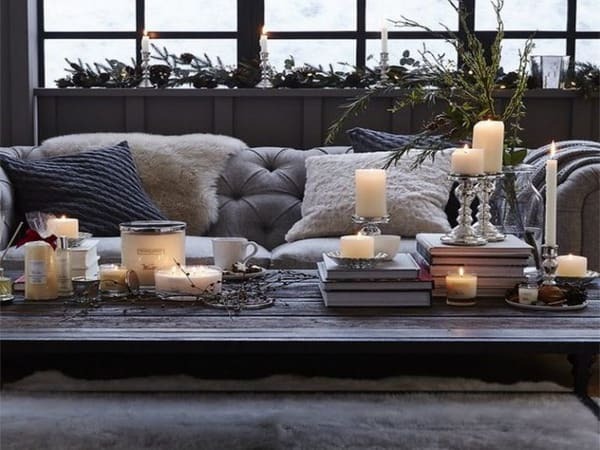 Also bet for the simplicity of the hygge decoration and not overcrowding the spaces, all this will allow your mind to rest and will make you feel better at home. Surround yourself with elements that bring you well-being, relaxation and peace. For it, nothing better than the objects we love, which evoke good moments in our memory, inspire us and make us feel. Family pictures, pictures from our trips, drawings given… in your decoration bet on those elements that for you are special and necessary. Also the recycled elements that tell us stories and to which we can give a new use. Memories of family, small details of some trip, your favorite books… the details are what make a house unique and special and make it “our home”. Pay attention to them and you will notice them in the environment. Another essential element in any home inspired hygge decoration is wood. The wooden floors will bring warmth and make us feel in harmony with nature. But also tables, tables made with logs, chairs… The wood in any of your varieties will bring us warmth. In the materials also choose the most natural ones like the wool, the skin, the linen or the cotton in carpets, cushions, blankets, etc. Warm blankets under which you take refuge on a Sunday afternoon or fluffy cushions on which to lie down while you enjoy a movie on the sofa. 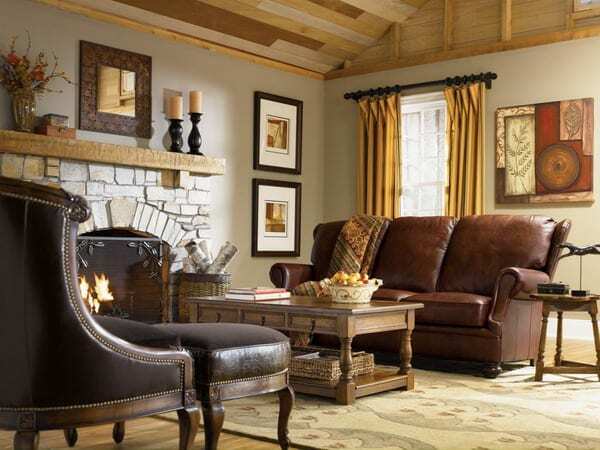 Mixing different textures is also helps us create warmth and home feeling. In the Nordic countries know well how important is the light and therefore its windows have no curtains or very thin to allow the light to pass and enjoy it even in the darkest days of winter. The fireplace is an essential of any home and if you can have it you surely enjoy it but if not, the candles can also be a great option when it comes to enjoying a hygge, more warm and cozy. For something the Danes consume about 6 kilos of candles a year. Take every opportunity to turn out the lights and take out the candles and enjoy a romantic and warm atmosphere. And it is that in the light of the candles everything looks better. Yes, white candles and no smell. Simplicity first. The Danes are clear. Each person needs their private space and their moments of solitude that can be enjoyed, for example, reading a good book in our favorite armchair or taking a long bath in the bathtub. That is why hygge decoration does not give up those small pleasures that will give you so much even if you can only enjoy them at specific times. Do not give up the tub if you like toilets with foam or be sure to create a corner for your crafts where you can enjoy for hours forgetting the world. If you are from books, you will need a good reading chair. Or if your music is yours make sure you create your space to enjoy it and have your favorite discs on hand. Because the human being is sociable and we need others to feel happy. Meetings are an essential part of life so your home must be prepared to host friends and family and create a climate suitable for meetings. Take into account all the details to create the perfect atmosphere around the table or on the sofa where you can maintain and prioritize the necessary elements such as a good sofa, a large table, comfortable chairs, puffs… Yes, we know that each floor Day are smaller but when it comes to deciding the decor think about it and you will not regret it. You will be able to enjoy many hours of joy and shared well-being. Plants and flowers should be part of our hygge decoration. Just a few plants and branches on the windows or tables can help us improve our well-being. There are many types of plants resistant to the interior and do not need too much care. And all sorts of original and different options, from hanging plants to small worlds in an aquarium. Whatever your choice, bet on them and you will not regret it. Their care is also a good way to relax and forget the world. No matter how small the space you have, do not give up enjoying the outdoors. The Danes, accustomed to many months of cold and fog, know this very well and that is why their philosophy is to take advantage of the slightest ray of sunshine and enjoy it from their balconies, terraces or patios. 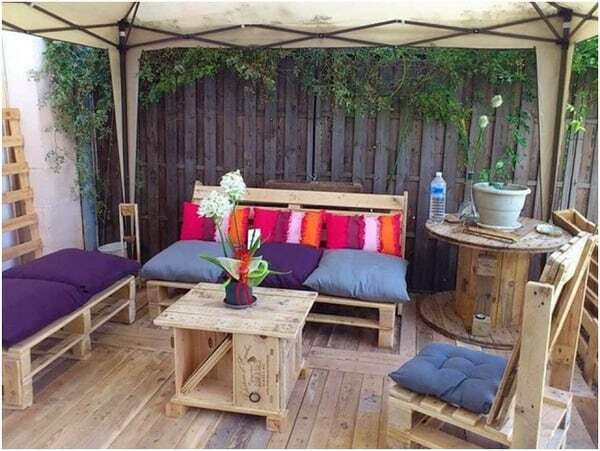 Do the same and turn your outdoor space into a special place to relax on any summer day but also in the middle of winter, taking advantage of the sunniest hours or pulling stoves and blankets. The sun and the outdoors bring us many benefits and make us feel happier and at peace with the world. Perhaps this is the concept of the most important hygge decoration of all, in the background. Know how to take advantage of free time and enjoy them. An extra hour in bed, a few hours of reading in your favorite corner, take time to dedicate to review old photos… and all this away for a while from the connected world we live in: mobile phones, tablets and computers. People need to disconnect and relax, and it gets harder and harder each day. Do not feel guilty about it, learn to enjoy it. And you guys stick to a hygge decoration at home? A concept that seems simple, and even a little childish, but often forgotten in the middle of the vital vortex in which we live and absorbs us day by day. So applying the hygge decoration in our home and our daily life can help us improve our level of happiness. Something in principle simple to apply in the decoration of our home and it can be useful to leave in the door stress and learn to enjoy more of everything we already have. Why not try it? You will tell us if you decide to do it as it has gone. Happy weekend and thanks for reading!